Sonic Dealerships Lose Class Action Insurance Coverage Dispute with Chrysler Insurance: Statutory Errors or Omissions Coverage did not apply to Dealers’ Failure to Disclose Price of Etch in Retail Installment Sales Contracts. By Greg Johnson. I recently posted an article providing a general overview of the insuring clause to the “Acts, Errors or Omissions” of the new Auto Dealers Coverage Form (“ADCF”) Policy. (See the article here). This optional coverage is primarily designed to protect the auto dealer against claims resulting from the dealer’s violation of certain specified consumer protection laws that regulate the dealer’s finance and insurance operations such as the federal Truth in Lending Act (“TILA”) and federal Consumer Leasing Act (“CLA”) and similar state laws. While there have not been any reported decisions interpreting the acts, errors or omissions coverage of the ADCF policy, case law interpreting pre-ADCF statutory errors and omissions coverage will provide guidance when addressing the new policy. One of the more interesting recent cases to address the insuring clause requirements in a pre-ADCF policy is Sonic Auto., Inc. v. Chrysler Ins. Co., 2014 WL 1382070 (S.D. Ohio Apr. 8, 2014), a decision of the federal district court for the Southern District of Ohio. The district court certified a class of Florida consumers and Sonic subsequently settled the lawsuit. Another action was filed in North Carolina, but subject to arbitration. The claimants alleged that Sonic marketed and sold the Etch product as a mandatory add-on. They alleged that Sonic “in a uniform class-wide practice provided consumers with forms with blank prices thus allowing them to ‘pack’ and ‘stuff’ in the [Etch] product at exorbitant prices” and that “[t]he price charged to [claimants] for Etch was not disclosed in any of the transaction documentation provided to the consumer.” The arbitration demand included claims for (1) violation of the South Carolina Regulation of Manufacturers, Distributors, and Dealers Act (S.C. Dealers Act), (2) rescission to void Etch contracts and unlicensed insurance products; (3) breach of contract; (4) unjust enrichment; and (5) violation of the North Carolina Unfair and Deceptive Trade Practices Act (NCUDTPA). The arbitration demand did not include a separate claim for violation of the federal TILA or any state truth-in-lending statute. However, the claimants specifically argued at a summary judgment hearing that Sonic violated TILA and that the TILA violation could serve as the predicate unfair or deceptive act constituting a violation of the NCUDTPA. A settlement was approved by the North Carolina trial court which included all customers who purchased or leased a vehicle from a Sonic dealership which included the Etch product as part of the transaction but excluding customers from Sonic dealerships in Florida. Thus, in both lawsuits the consumers alleged that Sonic’s practices involving the Etch product violated truth-in-lending statutes, but did not assert claims for damages under those statutes. Rather, the claimed truth-in-lending violations were asserted to serve as a predicate unfair or deceptive act for purposes of the causes of action under the UPTA and NCUDTPA. all sums an “insured” legally must pay as “damages” arising from an “occurrence” because of an alleged or actual negligent act or “error or omission” by an “insured” occurring during the policy period of this policy and resulting from … a civil violation of any federal, state or local statute that regulates specific disclosures required to complete . . . [c]onsumer financing agreements . . . [or] . . . [c]onsumer leasing agreements. Chrysler asserted the suits were not covered because the damages sought in each action were pursuant to deceptive trade practices statutes not under truth-in-lending statutes and, additionally, the damages did not arise from negligent acts errors or omissions. The federal district court for the Southern District Court of Ohio held that Chrysler was not obligated to defend or indemnify Sonic in the underlying lawsuits. In support of its holding, the court cited the decisions in TIG Insurance v. Joe Rizza Lincoln–Mercury, Inc., 2002 WL 406982 (N.D. Ill. Mar.14, 2002) and Heritage Mut. Ins. Co. v. Ricart Ford, Inc., 105 Ohio App.3d 261, 663 N.E.2d 1009 (Ohio Ct. App.1995). However, the TIG and Ricart Ford cases were not exactly on point. The policies at issue in TIG and Ricart Ford only required the insurer to “pay all sums the insured legally must pay as damages solely by operation of” TILA (in TIG) and “damages solely due to” TILA (in Ricart Ford). Based on this restrictive policy language, the courts in TIG and Ricart Ford held the insurer had no obligation to defend or indemnify the dealership because the underlying complaints, although alleging violations of the TILA, did not seek damages under the TILA. In denying coverage, the court in Sonic further noted that “the focus of the Underlying Suits was on deceptive and unlawful practices, not on purported violations of federal or state statutes that regulate disclosures required to complete consumer financing or leasing agreements.” In support, the court pointed out that the “plaintiffs sought to certify classes of all customers who purchased or leased a vehicle with the Etch product, regardless of whether the customers executed financing or leasing agreements with Sonic to do so.” This distinction was certainly relevant to the issue of whether Chrysler Insurance would be obligated to indemnify Sonic for the amounts Sonic paid in settlement (the court’s opinion does not indicate whether the settlement agreements segregated the portion of the damages paid which were attributable to the dealerships’ alleged failure to disclose the price of the Etch product as opposed to the portion attributable to Etch being allegedly overpriced or essentially valueless). However, the distinction would not seem to be particularly relevant to the determination of whether Chrysler was obligated to defend the dealerships in the lawsuits. Most, if not all, jurisdictions subscribe to the view that a liability insurer has an obligation to defend a cause of action whenever there is any possibility the insurer would be obligated to indemnify. Inasmuch as the damages sought under the UPTA and NCUDTPA in the underlying lawsuits allegedly “resulted from” a violation of the TILA, the court could have easily decided that Chrysler was obligated to defend (but perhaps not indemnify) Sonic in the underlying lawsuits. The TILA Provisions provided coverage for only “an alleged or actual negligent act or ‘error or omission.’” The Policies defined “errors and omissions” as “a mistake, oversight, miscalculation or clerical error, which occurs as an unintentional exception to the standard practice or procedure of the insured.” The Court agrees with Chrysler Insurance and Great American that the [underling complaints] alleged intentional misconduct by Sonic. * * * Sonic does not identify allegations of negligent misconduct or errors or omissions made against it in the . . . pleadings. * * * Sonic argues that Chrysler Insurance also had a duty to defend pursuant to the TILA Provisions in the Chrysler Insurance Policies because the [complaints] alleged that Sonic violated TILA and such allegations could be established by negligent conduct. The Court does not agree. * * * Neither [complaint] included express allegations against Sonic based on negligent conduct or errors or omissions. Sonic cannot obtain coverage based on a theory that the plaintiffs in the Underlying Suits could have alleged claims based on negligent conduct when, in fact, plaintiffs alleged only intentional misconduct by Sonic. As noted in a previous article on this blog, a consumer’s allegations regarding a dealer’s level of culpability should not control the insurer’s obligations to defend and indemnify TILA or CLA claims because the TILA and CLA impose strict liability. (See, “Should an Auto Dealer Insurer Defend an Auto Dealer Against ‘Intentional’ Violations of Federal and State Credit Sale and Leasing Disclosure Laws?”). 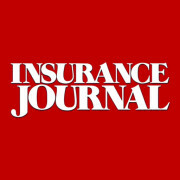 It seems incongruous to limit coverage to negligent acts when the risks insured under the policy are not based on negligence and allegations of negligence are not likely to appear in pleadings. The auto dealer purchases statutory errors and omissions coverage for TILA and CLA to protect itself against liability under the TILA and CLA and cannot control whether the consumer attaches superfluous assertions of wrongful intent to those claims. While insurers should be required to defend or indemnify an auto dealer who has engaged in conduct with the intent to cause consumer harm or evade the law, the determination should not be based on the consumer’s pleadings. Rather, the determination of whether Sonic was entitled to a defense probably should have turned on the applicability of the wrongful conduct exclusion in the Chrysler policies. The exclusion barred coverage for “Dishonest, malicious, fraudulent, criminal, deceptive, malicious or intentional act or omission.” The duty-to-defend analysis in Sonic should have considered whether, for example, the dealerships acted with the specific intent to cause consumer harm (or evade truth-in-lending requirements) or acted with knowledge that either of such harmful consequences was substantially certain to result from their conduct. Although the plaintiffs’ pleadings in Sonic contained numerous assertions of intentional wrongdoing, it is not entirely clear, from the opinion, whether the dealerships acted with the intent to cause consumer harm or acted with knowledge that consumer harm was “substantially certain” to occur (assuming that is the correct standard to use when addressing the wrongful acts exclusion). On the one hand, the consumers’ retail installment contracts did not separately disclose the charge of the Etch product. However, the opinion does not indicate whether the charge was disclosed to consumers in their purchase agreements or other pre-delivery documents that were presented to, and executed by, consumers. If the charge was disclosed to consumers prior to consummation of their transactions, the insurer would have had some difficulty in proving Sonic intended consumer harm. Whether Sonic acted with the intent to evade the law also cannot be gathered from the plaintiffs’ pleadings. The requirements of the TILA and state retail installment sales act with respect to the Etch product were not addressed in the opinion. Sonic may have, for example, been operating under the belief that the charge for Etch product could be included in the “cash sales price” of the vehicle – an amount which was disclosed to consumers in the itemization of amount financed section of their retail installment contracts. In any event, the determination of whether Sonic was entitled to a defense probably should have been based on an analysis of the actual facts compared to the wrongful conduct exclusion in the Chrysler policies, not on the consumer’s superfluous assertions of wrongful intent. This blog is for informational purposes only. By reading it, no attorney-client relationship is formed. The law is constantly changing and if you want legal advice, please consult an attorney. Gregory J. Johnson ©All rights reserved. 2014. This entry was posted in ADCF Policy, Auto Dealer, Consumer Leasing Act and tagged Acts Errors and Omissions Coverage, Auto Dealers Coverage, Auto Dealers Operations, Auto Dealerships, Consumer Protection Statutes. Bookmark the permalink.